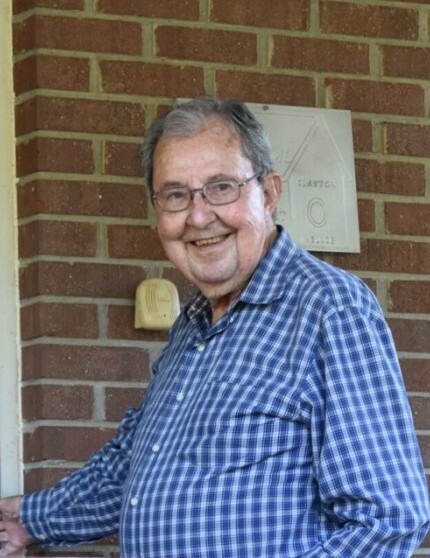 Clayton R. Beacham, age 89, of East Dublin, passed away on Sunday, February 3, 2019. Services will be held at 11:00AM on Wednesday, February 6, 2019 at Bethlehem Baptist Church with burial to follow in the church cemetery. Rev. Matt Haywood, Rev. Tommy Pulliam, and Rev. Marty Beacham will officiate. The family will receive friends from 10:00AM until funeral hour at the church on Wednesday. Pallbearers will be David “Gator” Berryhill, Spencer Jones, Cody Berryhill, Michael Daniel, Tyler Berryhill, and Clay Soles. Honorary pallbearers will be members of the FA Josey Sunday School Class. Mr. Beacham was a veteran of the United States Army. He retired from J.P. Stevens/Forstman and later from the Laurens County Landfill. He was a member of Bethlehem Baptist Church and member of the FA Josey Sunday School Class. Mr. Beacham loved to farm and found joy in giving his harvest away to his friends and family. He was known especially for growing Vidalia onions. He was preceded in death by his parents, Cleon and Julie Bell Burris Beacham; sister, Winona Spivey, Bertha Minton and Nita Downs. Survivors include his wife of 67 years, Nellie Beacham, of East Dublin; daughters, Sandy Berryhill (David), of Cochran and Shelia Daniel (Danny), of East Dublin; grandchildren, Gator Berryhill (Beth), of Cochran, Spencer Jones (Ashley Snelgrove), of Eastman, Torie Soles (David Driggers), of Rockledge, Tyler Berryhill, of Cochran, Michael Daniel (Lisa), of Dublin, and Zach Driggers, of NC; great-grandchildren, Cody Berryhill, Gavin Daniel, Clay Soles, Carson Berryhill, Cole Berryhill, Connor Daniel, Brianna Daniel, Greyson Jones, and Levi Driggers; sister, Margie Hayes, of Thomaston; brothers, Hubert Beacham, of Dublin, Eddie Beacham, of East Dublin, Fred Beacham (Annette), of Rockledge, and Tommy Beacham (Donna), of McRae; numerous nieces and nephews and beloved friends, Delane Fillingim and Sophia Yanken.